Yesterday evening I was informed, via a friend’s Facebook status update, of the passing of the great Sir Terry Pratchett.. Like most of his fans, we knew this day would come inevitably given his fight against a rather nasty and tenacious form of Alzheimer’s. However, even the most prepared among us are never truly prepared for death. It was while sneaking around in my older sister’s room as a teenager that I came across his fourth Discworld Novel “Mort”. Usually my nefarious raids in my sister’s room resulted in impromptu make up sessions or coming across a hidden stash of biltong (yum). This time it resulted in me falling in love. The first line of Mort was like nothing I’d ever read before. It was the most descriptive, hilarious and brilliantly written line my awkward teenage self had ever read and there was no looking back after that. My love affair with Terry Pratchett and his Discworld Series would come to be one of those never-ending kind of loves. 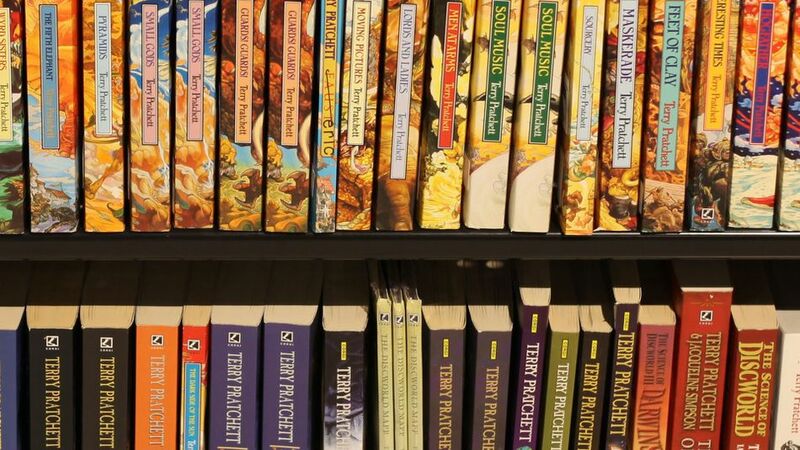 With over 70 novels published in his name and his last book published at the end of last year, you can’t say that Terry Pratchett left this world unfulfilled, without making full use of his gift and talent. If you’ve had the misfortune of never reading a Terry Pratchett novel you would be mistaken to think it was a ball of lighthearted, fantastical fluff. You’d be very wrong to make such an appalling assumption. .
Pratchett dealt with many hard hitting topics in every single one of his novels such as:. You name it. He addressed it. I am part of a book club that’s met every month for the last 4 years to discuss books we’ve read as a group and we are still looking for The Holy Grail of books – meaning a standalone book that is fiction, a best seller and funny. Most books we end up reading from bestseller lists are inevitably depressing. Humour is by far the hardest characteristic to inject into a book for everyone’s sense of humour is quite subjective. 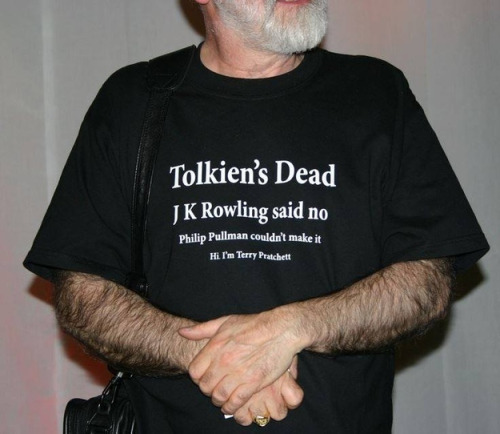 Pratchett did the impossible not only by weaving laughter and humour into the most riveting and poignant storytelling. He wielded humour as a wonderful tool to remind us not to take ourselves so seriously. Terry’s strongest characters, in my opinion, where by far his female characters namely The Witches (Granny Weatherwax, Nanny Ogg & Tiffany Aching). He emphasised the challenges and alienation that women faced in positions of power or when having to pick between a career or having a family. His female characters were so ballsy, so empowering and super intelligent that I marvel looking back, at whether having only one child – a daughter – influenced him to write such extraordinary characters. .
His Disc World Series centred around characters living on a planet that is perched on the backs of 4 huge elephants that in turn reside on a giant sea turtle that makes its way around the galaxy. AND that’s not strange in comparison to some of the characters we meet and some of the plots he conjures up in his books. His imagination knew no bounds and he challenged all his readers to push the boundaries of their own. His many stories inspired strength, courage and wisdom in his many fans. Reminded us to stand up and stand out. To challenge the status quo and also to find the humour in world that is all around us. PS The following beautifully written tribute for Sir Terry Pratchett was left by Nick Mogavero, on his Facebook fan page – I must warn you, keep the Kleenex very close by. He so rarely said it, and these feelings… remembering his young apprentice, and beloved daughter. The beautiful child they have. So sad. I love Mort- one of my favorites! Isn’t it just. If I still had my copy I would be re-reading it this weekend. Thanks for stopping by.